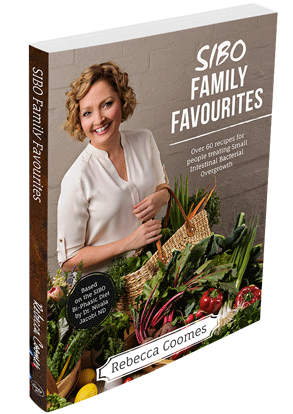 In the latest SIBO cookbook, Rebecca Coomes has taken over 60 classic home-style recipes and made them SIBO-friendly. They are not only delicious and easy to make, but the whole family will enjoy them. 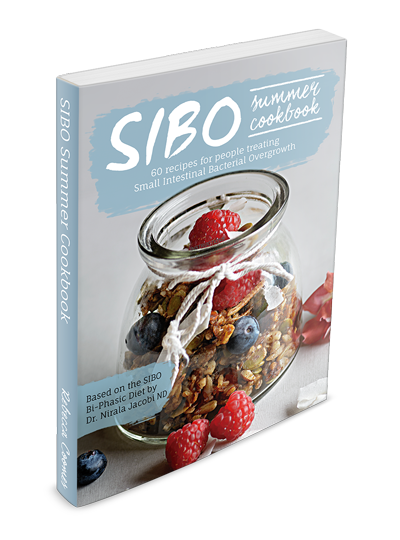 Each recipe is categorised depending on the phase of your SIBO treatment, so it is the perfect tool while you treat SIBO. All recipes are gluten free so are perfect for anyone following a gluten-free diet. They are also free from dairy (or dairy-free alternatives), low in grains, carbs and sugar. In my years of treating SIBO, the most difficult commitment for my patients has been the SIBO diet. It is an intentionally restrictive diet to reduce the fermentation of food by bacteria in the small intestines. In addition to treatment, I designed this two-phased diet for people to follow for 3 months, but because it makes them feel so much better, people typically stay on it longer. The phased diet tables are easy to understand, and the recipes are delicious. 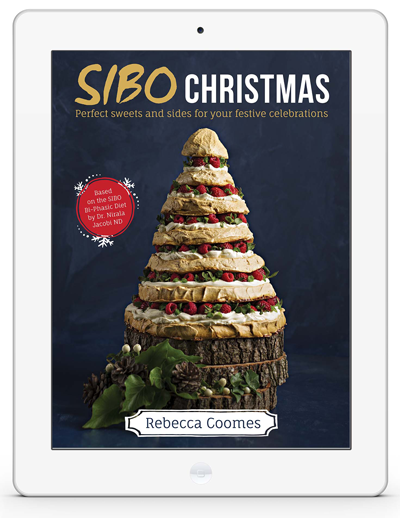 The SIBO Christmas eCookbook is bursting with SIBO-friendly appetisers, sides, desserts and sweet treats. All recipes are based on the SIBO Bi-Phasic Diet Protocol by Dr Nirala Jacobi ND and clearly list what phase they are suitable for. This eCookbook is perfect for festive celebrations throughout the year. All recipes are 100% gluten-free and soy-free. There are dairy-free, grain-free, sugar-free, and low FODMAP options available. Recipes list AU and US measurements, temperatures and ingredient names. The cookbook is available for immediate download via email.